The stock market can be risky. Just 10 years ago, due to the financial panic and subsequent Great Recession, stocks lost half their value in the course of not much more than a year. But the stock market is also a great investment: Long term gains are large, and even the biggest losses are routinely reversed in a matter of a few years. The upshot is that you should almost certainly have at least some money in the market. The best way to think about your portfolio when you're risk-averse is by recognizing that a significant amount of your money is not part of it and should not be invested at all. If you cover your other important financial bases first, you may feel better about investing. First, make sure you have adequate liquidity balances — that's cash on hand to deal with the fact that your income arrives on one schedule (biweekly paychecks, perhaps) while your bills arrive on a different schedule (some monthly, others perhaps annually or semi-annually). Third, make sure you have a plan to fund medium-term expenses (a savings account or CD or maybe an intermediate-term bond fund). These are things you know you're going to buy in the next few years. Once you've got those bases covered, the rest of your money is your investment portfolio. By identifying how much of your money is not part of your investment portfolio, you may find yourself much more comfortable thinking about committing some fraction of the rest of your money to the stock market. However, maybe you've done that and you're still not comfortable. That brings us back to where we started. In particular, it raises the question: If you know the market is the right place for a sizable chunk of your portfolio for the long term, why are you hesitating to commit funds now? There are probably two big reasons why people hesitate to get into the stock market: Either because the market seems "too risky," or because they're "waiting for the right time." The way to get yourself to make the move into the stock market depends on which reason is blocking you right now. If it's just that the market seems too risky, you can often get started investing by going small. If you can't bring yourself to put 70 percent of your portfolio into stocks (which is actually a reasonable allocation if you're fairly young), can you bring yourself to put 5 or 10 percent in? When I was first starting to invest, most mutual funds had minimum investments that were pretty large (compared to the size of my portfolio), but there are now ways to invest amounts as small as just a few hundred dollars into stocks. 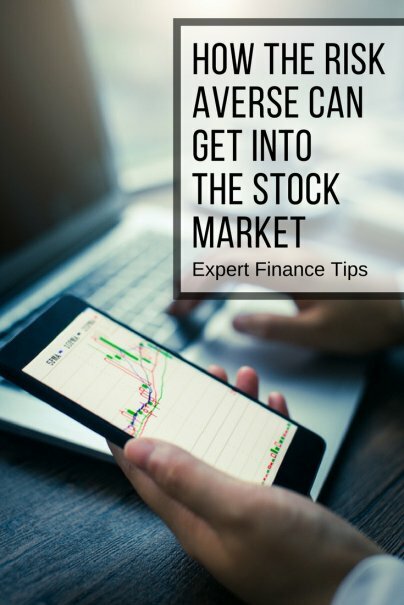 If the market seems very risky, pick a very small amount of money — small enough that you could absorb even a 50 percent loss without endangering your long-term goals — and take the plunge. Put that small amount into the market. Better yet, set up some sort of automatic investment (a payroll deduction into a 401(k) or an automatic transfer to a mutual fund or brokerage account) that would send a small amount away every month or every paycheck. If the issue is that you accept that the market is the right place to be for the long term, but right now is the wrong time to get in (perhaps because the market seems kind of high, perhaps because it has recently dropped and you worry it might drop further, perhaps because you see major risks to the economy from business conditions or the international situation or Congress), I have two thoughts. First, understand that it hardly matters. I saw a study some years back that compared two hypothetical brothers. Each had invested $2,000 a year in stocks in his IRA, but each year one brother had the good luck to make his investment on the day the stock market hit its low for that year. The other brother had the bad luck to make his investment on the day that the market hit its high for the year. The result? After 10 years, it barely mattered. The lucky brother had a tiny bit more money, but both of them had a lot more money than the guy who kept his money in cash waiting for a "better time" to invest that never came. Second, approach it just as I advised the person who thought the market was too risky: Start small. Maybe now isn't the right time to jump in with 70 percent of your portfolio, but surely having 0 percent of your portfolio in the market is the wrong choice. Suppose you do start small, but through a combination of further investments and growth in the market, find yourself a few years down the road with a sizable portfolio and with a large portion of it invested in stocks. When do you have too much in stocks? I would advise that you not use this as an excuse to time the market. The market will always be going up or down and neither circumstance is a good reason to change your mind about having stocks in your portfolio. Your asset allocation is important, but don't let that paralyze you. The worst thing you can do is agonize over your asset allocation to the point that you never get around to investing. Put a little money in stocks right away. Set up some sort of automatic investment. Once you have a tidy sum invested in stocks, start putting some of the new money in bonds. Only after those investments start getting large do you need to think about whether it's time to add some more exotic choices. Start small. Start simple. But above everything else: Start.